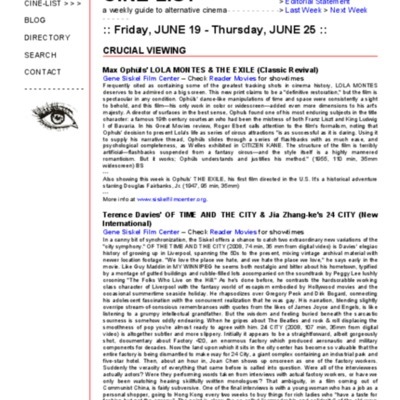 "I'm a New York Based Artist" (2007) will be screened in Chicago, at 7pm on June 19, during the 21st Onion City Experimental Film and Video Festival. The festival, which will run from June 16 to 20, is organized by Chicago Filmmakers. "I'm a New York Based Artist" will be featured in the festival program "Group Show Three: Shards of Space and Place." "I'm a New York Based Artist"
Actually a Paris based artist, Clouin strikes an ironic note with grungy low-res images of NYC as the soundtrack swells with a well-known 1950s pop standard. 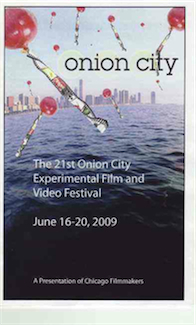 "I'm a New York Based Artist"
“"I'm a New York Based Artist" in Onion City Experimental Film and Video Festival in Chicago ,” Pierre Yves Clouin, accessed April 22, 2019, http://pierreyvesclouin.fr/items/show/315.